As you may notice, there have been some modifications to the Life of CK and Nate. Even the blog needs some renovations every once in awhile! I spent my blogging time for today working on the design updates and so I don't have anything super new for you, but I do have a little modification/update for you. 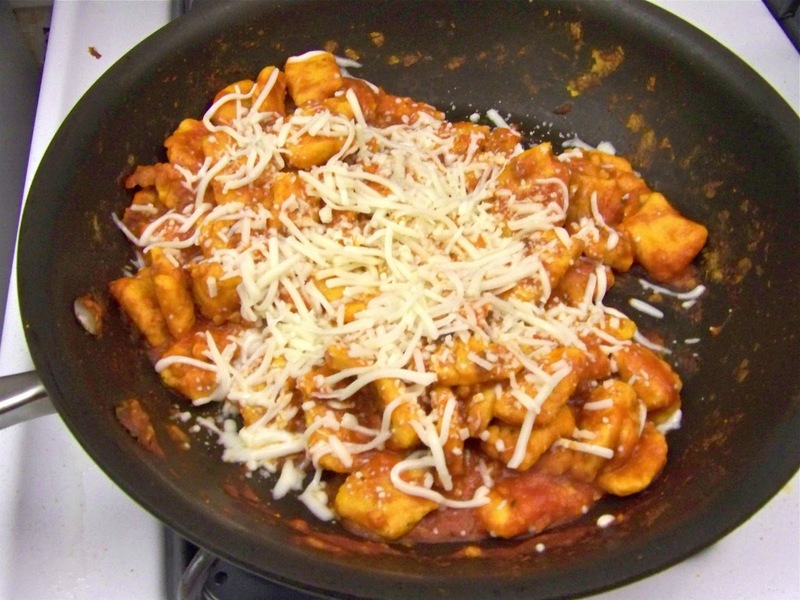 A while back I showed you how to make gluten free sweet potato gnocchi. It made a lot so we were able to freeze half and then make the other half with oil and oregano which was excellent. Well, we just made the frozen half and this time we decided to go a more traditional route of sauce and cheese. This version was excellent as well but it was definitely different. It felt more like a full meal than the oil and oregano (which we supplemented with sides) but the sauce masked the sweet potato flavor a little bit. Even though the base was the same I think you could eat one version one night and other version the next night and you wouldn't feel like you were eating leftovers. I was also pleased that the gnocchi froze well. I didn't cut it into pieces before I froze it so I just moved the mixture to the fridge the day before we were going to have it and it was easy to roll out and cut when I needed to. That's it for the updates today. Have a good weekend!